The Five Turbans, Deb Recording stars, creators of "Juanita" and "Don't Say Goodbye," recently recorded "Christmas Prayer" and "Yuletide Story" on the Deb label. The popular singing group appeared on WFBM-TV charity show and The Recorder Christmas Benefit bill. 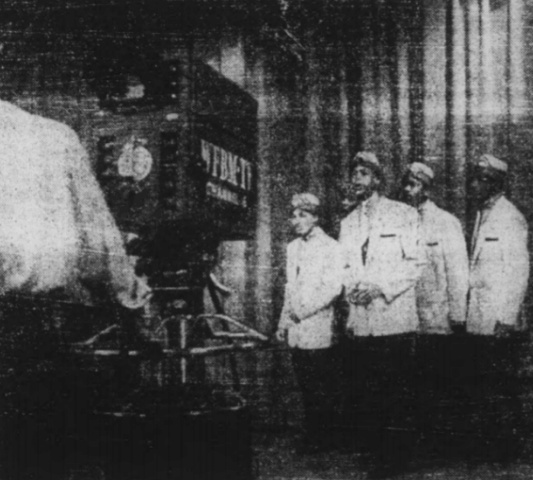 The Turbans also appeared with Count Basie, Eddie Chamblee, Jimmy Cole, Larry Wrice, Willis Dyer, and Sonny Thompson. The boys are under the personal management of Leo Lesser Jr., with Jerry Shelton as tour manager.